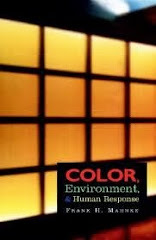 As architectural colorists, we are interested in the role color can play in creating humanized spaces within our constructed environments. 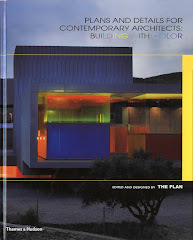 One example of architecture enhancing the relationship between color and the user is Brutalism. Brutalist architecture is often perceived as austere and unemotional. 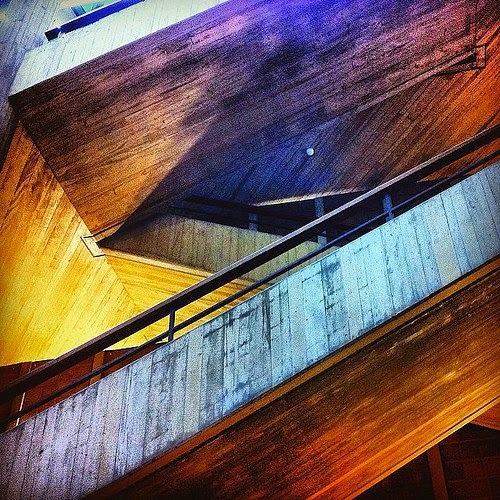 Its name comes from the french "béton brut", or raw concrete. Born as a response to post World War II ideals of strength, functionality, and social homogeneity, Brutalism is characterized by an aesthetic of form following function with a purist sense of materiality. Designs typically use formidable monolithic masses of concrete, glass and steel that dwarf the human scale. 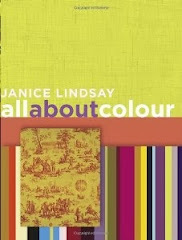 The materials provide a neutral backdrop which can provide a canvas for color to shape human response. 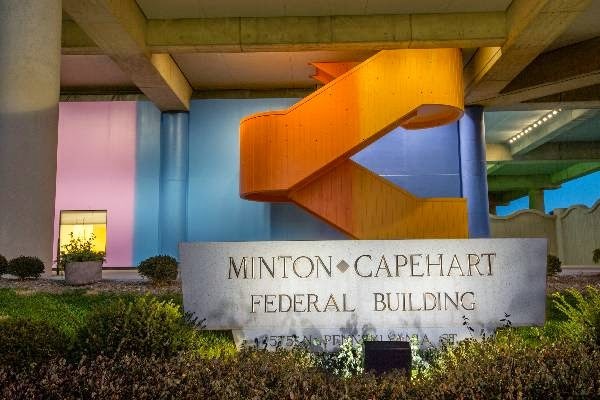 Milton Glaser's mural Color Fuses wraps the ground floor of the Minton Capehart Federal Building and is a spectacular example of how color can tranform a cold and bare space into one that is both stimulating and inviting. 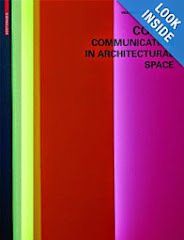 Originally completed in 1975 and restored in 2002, the piece celebrates the interplay of color and light. 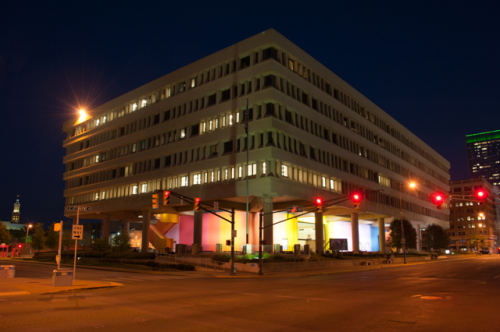 Glaser programmed the exterior perimeter lighting to illuminate his mural with a slow rise and fall sequence. This rhythm alludes to the gradual rising and setting of the sun and the timeless wonder associated with the qualities of light as it shifts and reveals itself on the horizon. The otherwise barren space glows with warm color, creating a dynamic pedestrian experience. Albert Einstein High School is an example of color as a tool for creating human scaled dimensions within large scaled environments. Built in the 1960s, the complex is made up of large linear buildings. Concrete framed volumes with three to four story curtain walls organize the regimented site in a strict grid with indifference to the human condition. 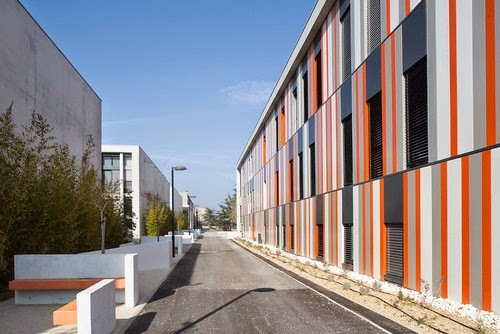 NJB Architects with Francois Privat Architects have redesigned this lifeless campus with an energetic color palette that breaks the regularity of the organization, creating a stimulating visual quality to the otherwise mundane environment. The monolithic structures are softened by bright colored stripes which both reference and break the defining regularity of the project. Unite d'Habitation by Le Corbusier. 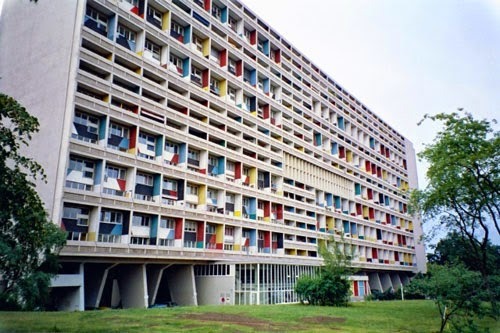 Corbusier's Unite d'habitation is arguably one of the most widely recognized brutalist buildings. Designed as a "machine for living", the 18 story concrete block was completed in 1952. The massive concrete structure allows for high density occupation while a strict grid divides the building into a more human scaled module. 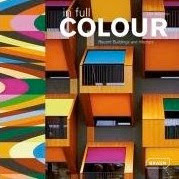 Color introduces a layer of individuality between the units, enforcing the human dimension within the project. The palette includes sixteen different tones, which yield a large number of color combinations that individualizes the 336 apartments. 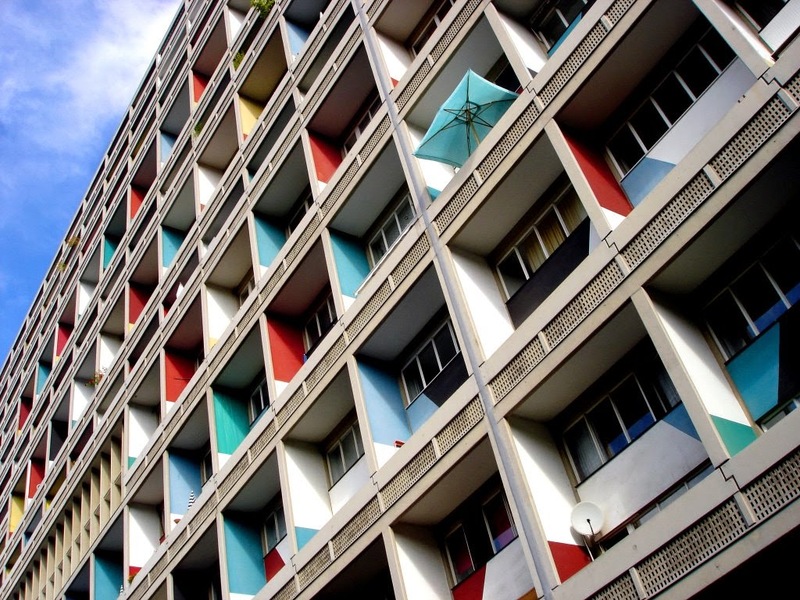 Different from Le Corbusier’s purist buildings, where he used color mostly as a tool to articulate and modify space, the Unite d’habitation in Marseille marks a shift towards the independence of color from form, and the social dimension of color. The brutalist structures that dominate their surroundings provide exemplary models for the role color plays in creating environments. The architectural composition of these projects are sometimes perceived as severe and foreboding. 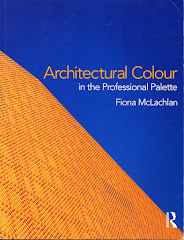 However, when paired with a rich color program, the buildings come to life, illustrating the relationship of color and its ability to inform human experience. 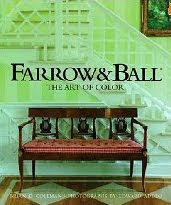 Nice article.All the images of buildings that posted here is so colorful.Architectural buildings becomes more beautiful by adding colors.This is one of the best blog that i ever visited.Thank you for providing this good and informative article to us.Visit Custom Dissertation Writing Service to get more articles like this.